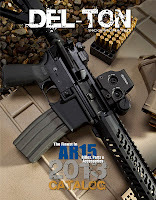 Del-Ton, Inc.: The New DTI Evolution AR-15 Rifle! In the last couple of blog posts, we highlighted two of our newest rifle models. The ECHO 316-OR and DT Sport-OR are simply variations of their "standard AR-15" counterparts. Instead of the front sight base, we built these models with single rail and low profile gas blocks that provide additional optic and mounting options. With low magnification optics, or when an optic is mounted low on the upper receiver rail, the front sight base on a standard AR-15 can be visible in the "sight picture" and some users may find this distracting. If the application in which you intend to use your AR predominantly requires optics, a configuration like this is preferable. This post will be dedicated to describing our new, premium AR-15 offering, the DTI Evolution. It really is an amazing weapon...in function, feel, performance, and aesthetics. The beauty of the AR-15 is the versatility and adaptability it provides. Since it's creation, this weapon platform has "evolved" according to the requirements of the mission in which it will be used. The DTI Evolution is the apex of that progression. • 16” CMV, chrome-lined, lightweight barrel with a mid-length gas system and a 1x9 rifling twist rate. • HPT/MPI tested Carpenter 158 steel bolt. The bolt carrier and key have a chrome lined interior and the key is installed with grade 8 screws and properly sealed and staked. 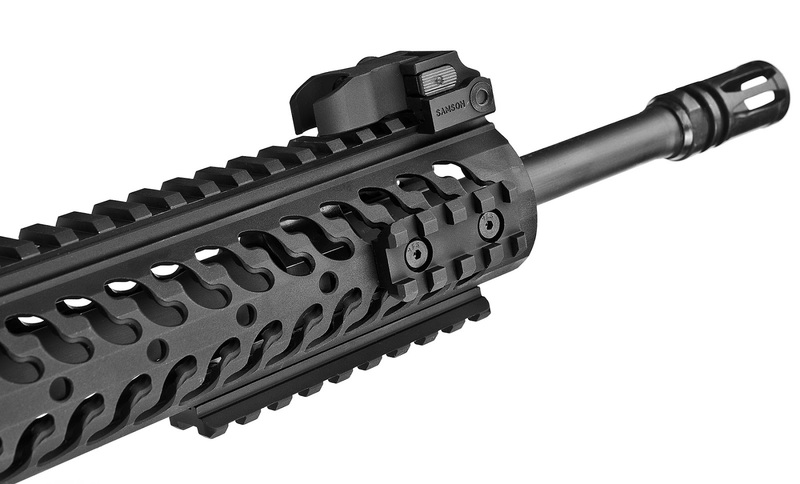 • Samson Evolution 12.37” free float rail, a lightweight handguard with versatile picatinny rail placement options. This free float handguard extends past the Samson low profile gas block for a longer sight radius and increased support hand position options. • 7075 T6 aluminum upper and lower receiver; upper receiver with t-marks and M4 feed ramps. • Samson Quick Flip Dual Aperture rear sight and Samson folding front sight-perfect BUIS options that can get out of the way quickly for uninhibited optic use, or be deployed when back up iron sights are needed. • Two-stage, Mil-Spec trigger; Magpul MOE+ grip (the MOE+ grip features a soft exterior for enhanced grip, but a standard MOE polymer bottom for snag-free performance). • Magpul CTR Mil-Spec buttstock (the CTR offers a positive locking lever to provide absolutely no stock movement), mil-spec buffer tube and heavy buffer. The DTI Evolution will begin shipping in first quarter, 2013. Thanks for reading our blog. 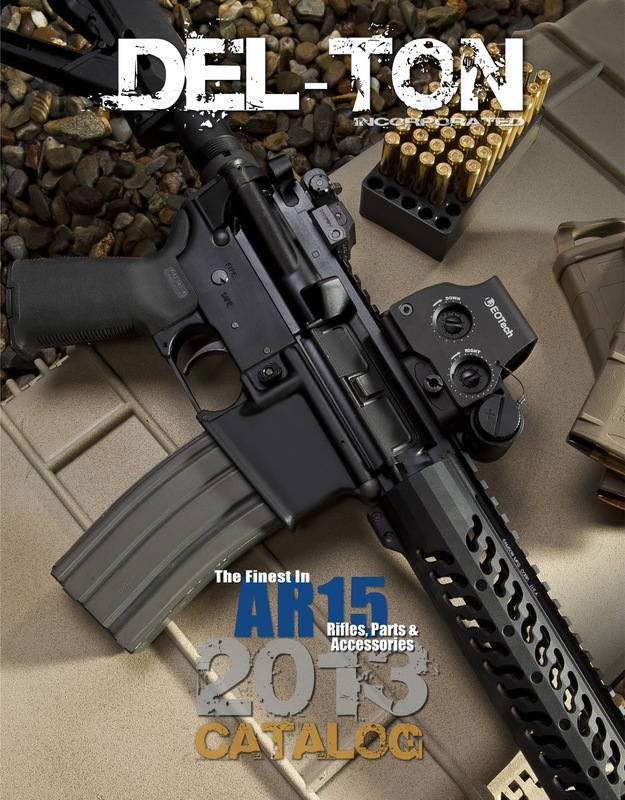 If you have any questions about the DTI Evolution, any of our AR-15 rifle models, or the parts we sell at www.del-ton.com, please contact us. I'd buy this today but can't find it anywhere.